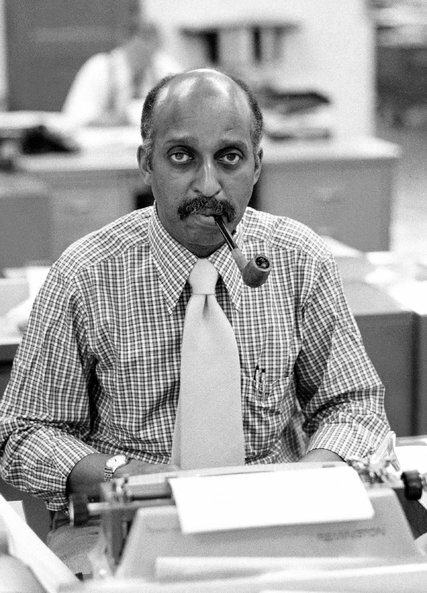 Charles Gerald Fraser, pioneering journalist of Afro-Caribbean American heritage, reported for the New York Times on events that shaped America’s racial affairs 1967-1991. Honoured in the 2016 Hall of Fame of the National Association of Black Journalists, he was an “inspirational mentor for generations of reporters”. Moreover, “Gerald embraced without compromise the highest standards of our profession, while doing it with heart,” said Charlayne Hunter-Gault, once his colleague at The Times. “He took me under his wing and gently steered me in the right direction when I was struggling to figure out a story or find a source,” said Joel Dreyfuss, former Times reporter. Notably, Fraser defined the practical ethics that challenged the world he found, paving the way for Black journalists to continue the struggle. Who are you and what are you in the newsroom for? In the riotous Sixties, Black journalists had no easy entry to the newsrooms. It was a long time since 1945, when the Times hired George Streator, its first African American reporter. Fraser recalls in his essay, Getting My Foot in the Door, that the Time’s security guards always demanded his ID, as if no Black had a right to be up in the newsroom or executive offices. All the while, they passed his white colleagues through with a cordial nod and hello. Understandably, Fraser refused to be subservient and quickly learned the Black journalists’ art of commanding respect. Furthermore, journalists had to confront racial disparities in the newsrooms. Spiralling 1960s urban riots had shocked US news media out of its complacency. Fraser advocated “inclusive and accurate reporting of African Americans in mainstream media”, said the NABJ. Fraser’s stories met that criterion admirably. “Reporting Civil Rights,” a 2003 anthology, records Fraser’s degrees from the University of Wisconsin and the New School University, New York. He helped found the Black Perspective, the 1960s Black journalist organization formed in New York. Furthermore, with Bob Maynard, a Barbadian, and Earl Caldwell, he launched trainee minority journalists into the mainstream press in summer programs at the Columbia University Graduate School of Journalism. He tried, too, perhaps unsuccessfully as a lecturer, to moderate the behaviour of police officers and lawyers at John Jay College of Criminal Justice. Into retirement, Fraser edited the Earth Times, on United Nations environment and development issues. As a music lover, he completed a work on Milt “Bags” Jackson, the jazz vibraphonist. “What makes Fraser a good newspaper reporter? The answer has many strands. However, one thread shaped his interest and character. He was born to a Guyanese father, Charles Sr and Jamaican mother, Bernice May Love in a strong West Indian community where higher aspirations flourished. He learned history, geography and politics on the Black world from the pages of Black owned and edited weeklies. Jamaican, Alfred Haughton’s Chronicle was popular among the early West Indian immigrants. However, William Monroe Trotter’s crusading equal rights organ, the Guardian, attracted their US-born youth. Fraser was proud of his West Indian origins. He “descended from a place where my people — my relatives — made a difference in the country’s history. I liked that idea and over the years it helped. Furthermore, he could trace his journalistic talent through the generations. Great-grandfather Robert Love’s Jamaica Advocate for the poor and landless influenced Caribbean Pan-Africanists, including Marcus Garvey. Fraser’s son, Charles Gerald Fraser III publishes the National Fisherman and WorkBoat magazines for maritime trades and workers, and Jetta Christine Fraser is photojournalist for the Toledo Blade. “We want transparency; we want to be able to hold elected and unelected movers and shakers responsible. We kept hope alive, now we want change”. Thus, Fraser reveals a new slant on a recurrent task. Diversity in the newsrooms and boardrooms means, above all, new voices in the industry and courageous reporting of the new American politics. Mr. Fraser lived in Manhattan and died at Calvary Hospital. He and his wife Geraldine McCarthy, who died in 1981, had two children, who survive him: Charles Gerald III and Jetta Christine. His loving partner M. Phyllis Cunningham, activist, nurse educator, their daughter, Maurella Cunningham-Fraser; three grandchildren; and a brother, Walter, also survive him.